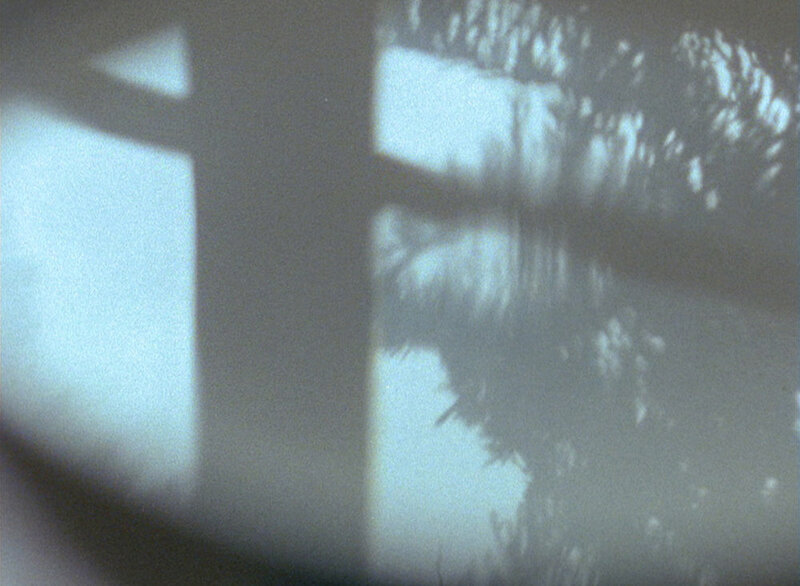 Eastern Avenue is an exploration of intuition, using film as a kind of audio-visual improvisation. The structure and innate “story” of the film were formed by the chronology of experiences and perceptions that emerged from a journey to Berlin, Portugal and Switzerland. The objective was to respond with a camera in a fashion not unlike a jazz improvisation, as impulsively and intuitively as possible. The resulting work is sensuous, lyrical, and very personal, with a strong kinship to music – a reflection of the movements of the unconscious. 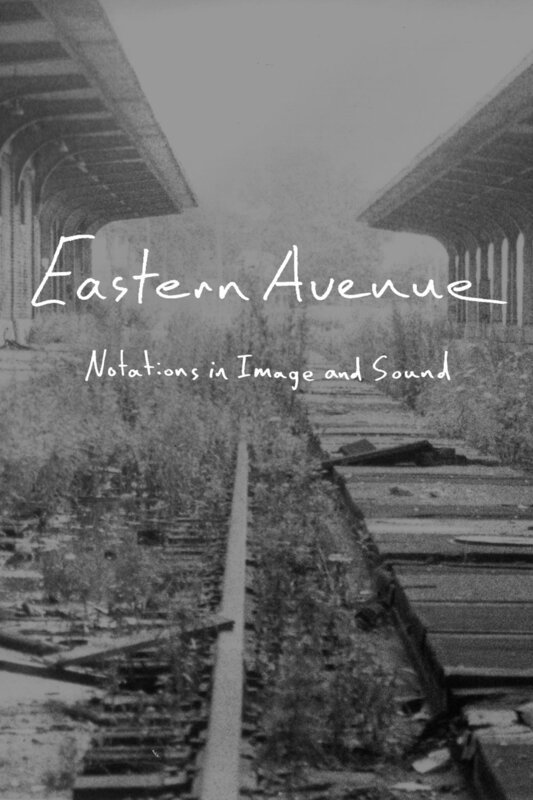 With these words, Peter Mettler introduces Eastern Avenue. From material shot during a three-month journey, he edited a lyrical film that is no ordinary travelogue or diary. Without occupying himself in advance with anticipated images, he attempted as often as spontaneously possible to respond and react to his surroundings, improvising with the camera as one would on a musical instrument. These visual notes allow insights into perceptions, feelings and emotional states in various situations. Cloud formations from a plane window; snowy landscapes; a young woman painting; the high interior of a baroque church; dilapidated, ghetto-like buildings; sightseers at the Berlin Wall; a greenhouse and cramped, neglected apartments; a child building a sandcastle; the steam rising from a coffee cup… Superimposition and dissolves, extreme close-ups, zoom-ins and canted framing are the means by which Mettler creates unusual multi-layered images. Filmed from moving cars and trains, passing landscapes seem unreal and distorted. In exceptional moments, the camera movements match the movements of what is being filmed: people dancing in a Berlin disco, the raging surf in Portugal. 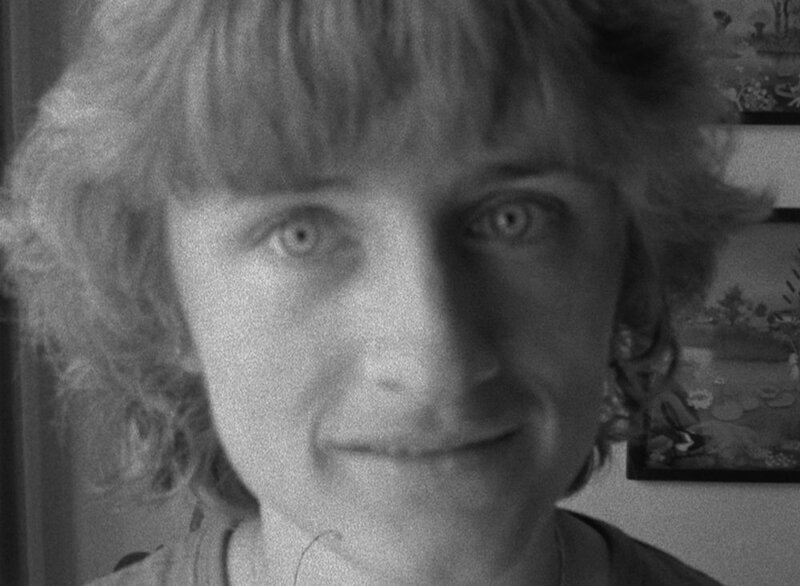 The camera's searching glance circles around objects without emphasizing centres of attraction and only comes to a standstill when contemplating human faces – including Mettler's – in frontal close-up. In editing, Mettler's aim was to achieve an organic whole. 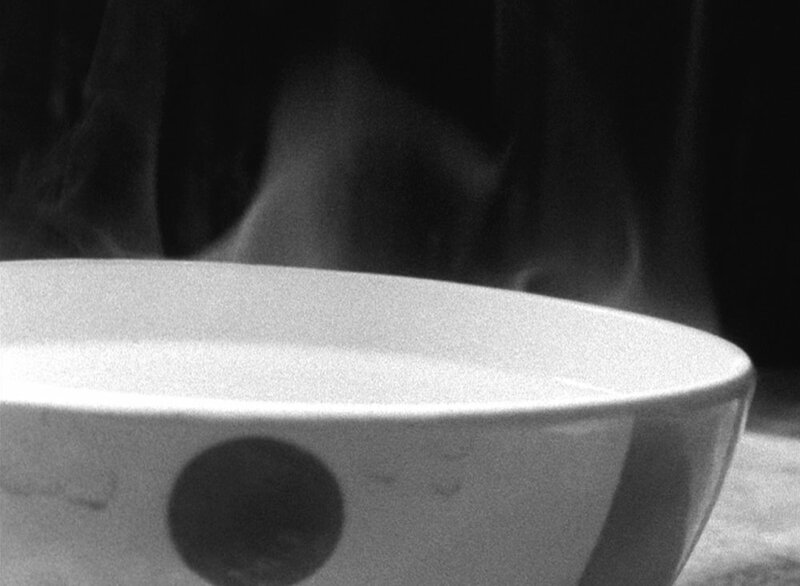 Almost all footage was used (with a 1:1.3 shooting ration), and the structure, course and rhythms of the film were determined solely by the chronology of experiences. In creating the soundtrack, Mettler made a mix out of five tapes in an equally unprejudiced manner; a cello and a violin improvised live to a picture playback and then were mixed with sounds and voices from India and Toronto, ethnic recordings, playing children, choral songs and excerpts from records. The collage-like sound does not seek to emphasize, but to create a unity with the images. Mettler had not planned to release Eastern Avenue theatrically. 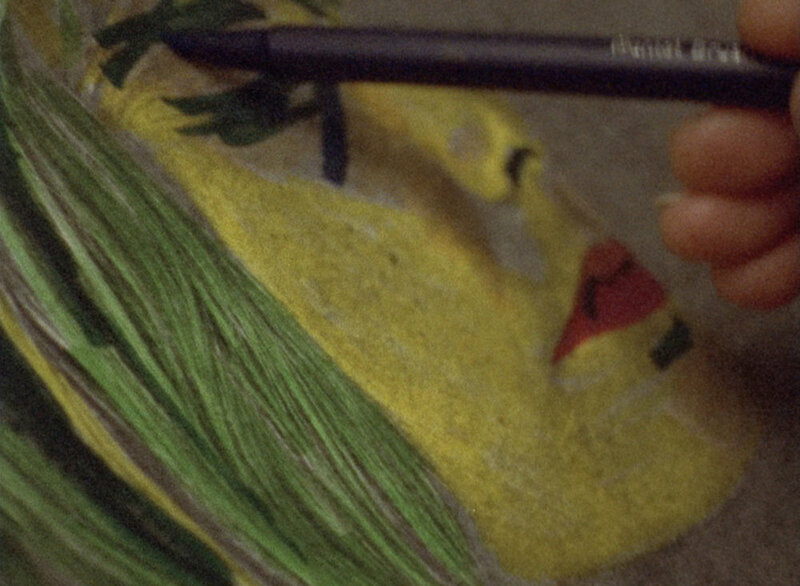 This personal travelogue, meant as a true intuitive experiment and diary, evolved in response to the intellectually structured work on his first feature, Scissere (1982). The experiences he made served as a working tool to develop ideas and strategies for The Top Of His Head (1989). W.W.: Can we now move on to Eastern Avenue, your next film. P.M.: I don’t really consider it to be a film in the usual sense. It’s more like notes for a film. Eastern Avenue was an intuitive shooting response to the places I had been in Europe in previous years, especially the heroin clinic. The film was shot chronologically, with an almost one-to-one shooting ratio, much like a diary film. I was using it as a development tool for The Top of His Head, although The Top of His Head works, formalistically, very different from Eastern Avenue. You probably wouldn’t notice that the two were related if you looked at them now. W.W.: The sound you use in Eastern Avenue is much more developed than in Scissere. It stands out as an integral part of the film, which, as you say, is a travelogue shot in Berlin, Switzerland, and Portugal. P.M.: Eastern Avenue uses cinema in an impressionistic, almost musical language, which, for me, was an experiment. I’m very interested in the musicality of cinema. To me the camera, music, and sound are all one. They are the language of observation and emotion. I studied piano when I was younger and for me cinema is an extension of music, much more so than storytelling. Eastern Avenue was about improvisation. The violin and cello you hear is Christie MacFadyen and Joey Hardin playing improvised playback to the picture. They did two or three passes, and then I cut different parts of these passes and re-composed them to go with the film. So, in a way, I used a spontaneous, improvised reaction to the film and then composed around that. A lot of the sound in the film was done in a similar fashion. One sound is a long passage riding on the back of a rickshaw in India that goes on for 15 minutes. If you listen closely, you can hear the driver talking. The rickshaw ride is superimposed over images of Berlin and is equally important as its own narrative. To me, working on the film was like playing a piano. I had these sound tracks and these images and I could fade the sound like a note on the piano, up and down. I was composing the film. That’s one of the things I love about filmmaking. It’s one of the high points, where all the elements come together. To me the sound of a film is just as important as the image.